Two years on and a decent library under our belts, we couldn’t be more pleased with where have have gotten to in this short space of time, but now, as then, we are constantly thinking of ways we could do things better. So here’s a Christmas promise/New Year’s resolution to you, our valued and loyal followers: we promise to keep you better informed about our future projects, to provide previews of upcoming titles as well as in depth articles about process, both from our artists and from ourselves; we promise to provide you with more content online and a better online shopping experience and to impress upon you further, hopefully, that print does have a home in our futures and that we will do our best to be a small, but significant part of it; and finally we promise to wow you with more titles than ever and an ever more illustrious line up of artists. We can’t say who yet, but a big name in comics will be collaborating with us on a few projects in the New Year and we are very excited to work with them. We will also be releasing another anthology like the applauded A Graphic Cosmogony and finally we will be producing many, many more comics and illustrated books for people of all ages and tastes. In the spirit of greater transparency, here is a sneak peek of an up coming talent we will be doing a lot of work with this year. Mikkel Sommers hails from Danemark and has been working on a comic for us called ‘Obsolete’. The story follows the fortunes of two men who return from war to find themselves rejected by society and let down by the system that they were dedicated to uphold, at whatever cost. Drawn in the unmistakeable, masterful style of Mr Sommers, the 17×23 comic will not only be a feast for your eyes, but an action packed exploration of the outer limits of nihilism told in a way that suggests experience in the field long past Mikkel’s years. Merry Christmas and a Happy New Year to all, see you on the other side! 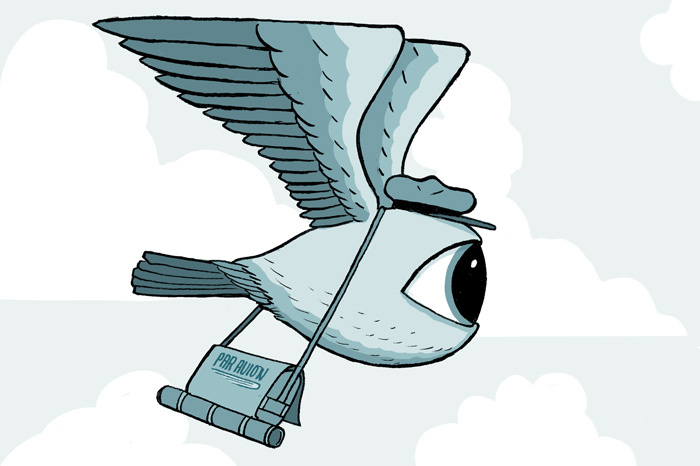 Pebble Island launch this Thursday! If this piques your interest and you fancy having a nice little warm cup of mulled wine this week, come by on Thursday 6.30 pm – 9 pm for the launch of our last books of the year. 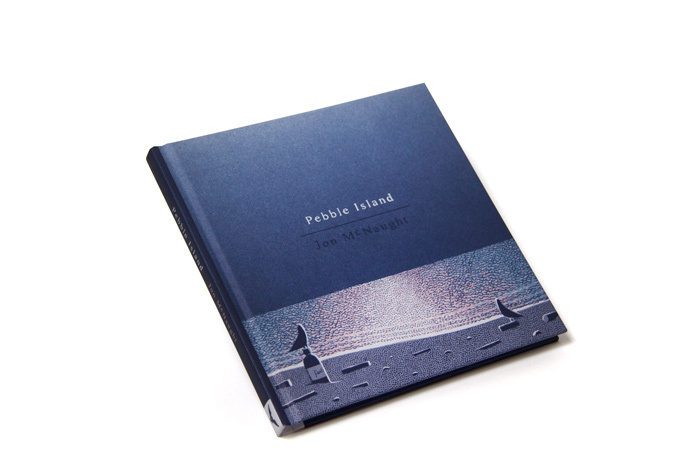 We will be launching Pebble Island, Jon McNaught‘s Brand new comic, whose antecedent has won praise across the comics landscape and was recently selected by Jon Martz of the popular Drawn! 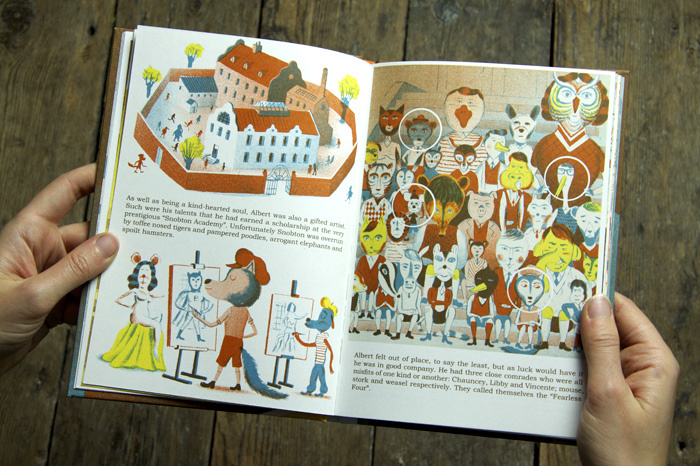 illustration blog as his favourite book of 2010. Also available on the night will be a small number of copies of our first ever colouring book, illustrated by Jon Boam. Colour Me Menagerie will be ready to ship towards the end of this week, but is available for pre-order now. So please do come by and share in our Christmas cheer and please RSVP. 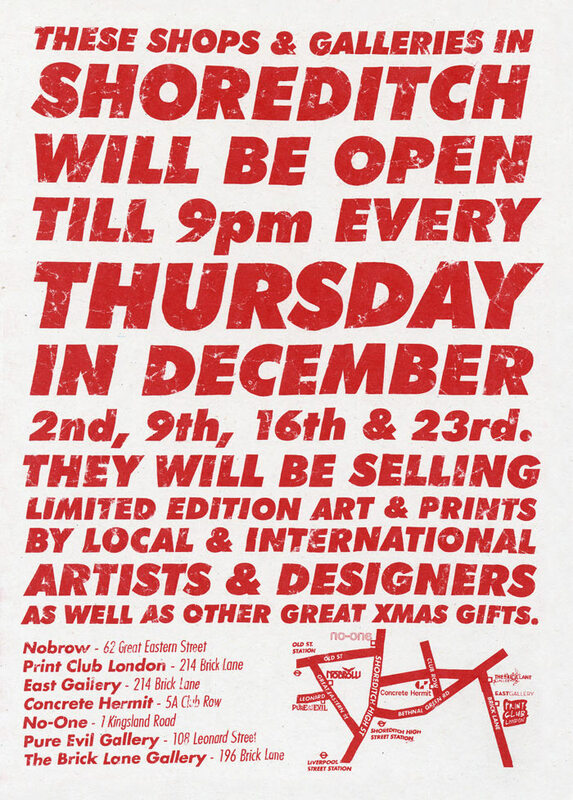 Late night shopping in Shoreditch! We know the pressure’s on for X-mas and that we do not have the most after-work friendly opening hours, so us and a bunch of local businesses and like minded people decided to keep Shoreditch open just that little bit longer for you this winter season. In the run up to Christmas the shop will be open every Thursday evening until 9 pm so you can get all of your pressies on the way home from your busy bee work lives. With every purchase over ten pounds on thursdays after 6pm you’ll get a free set of stunning Nobrow postcards from the latest installment on our eponymous magazine. This promotion runs on the 9th, 16th and 23rd of december and then the shop and office will be closed until the 10th of January 2011. 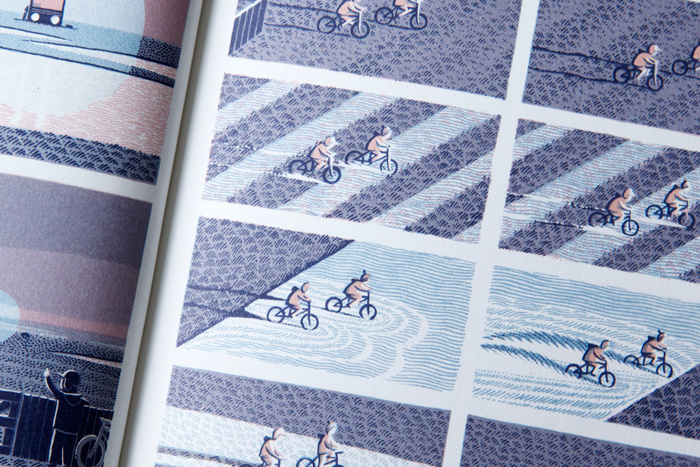 This Monday we will be releasing Nobrow 4 in all it’s glory with beautiful pics of the spreads from Night and Day. You have the first, second and third issues, well put your dirty winter mitts on number 4! 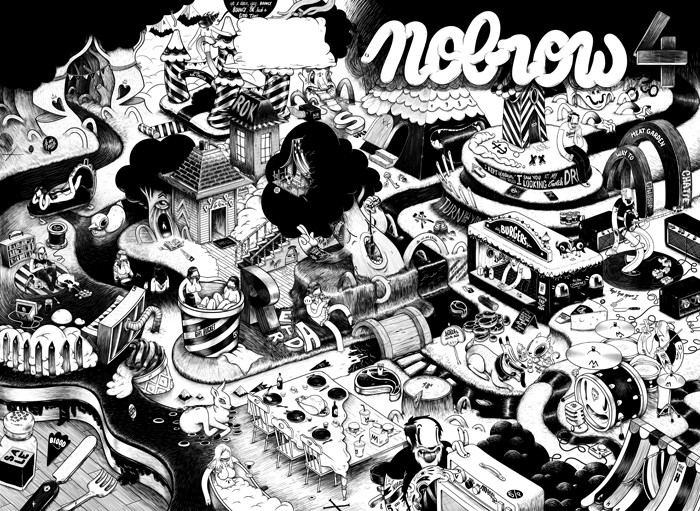 Featuring original artwork from some of the best illustrators out there, including a cover which McBess claims is the most complicated illustration he has ever done, it is a collectors item to boot. We will also be entering all of the people who buy the magazine this coming week, starting at 7pm today and running until 7pm the following Saturday, in a Chrismukkah Raffle with the prizes ranging from an original A3 signed print by artist Jon McNaught to a copy of acclaimed comics anthology ‘A Graphic Cosmogony’; and here’s the great part, you were probably going to buy it anyway, if you haven’t already! More details about prizes to follow next week… 5 prizes will be up for grabs all you have to do is buy one of me to be eligible. In the 18th Century, Japanese artist Toriyama Sekien attempted to depict each spirit of the ‘yokai’ tradition; an ancient race of demons whose descendants would later terrorise the earth under the guises of Godzilla, Mothra and Rodan. 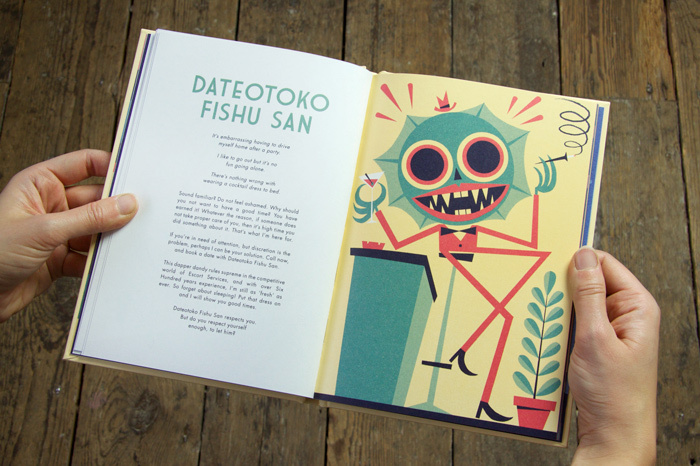 Now, two Bristolian men aim to rediscover the near-forgotten Yokai, and return these ancient beasts to their former glory, in the form of the Bento Bestiary. 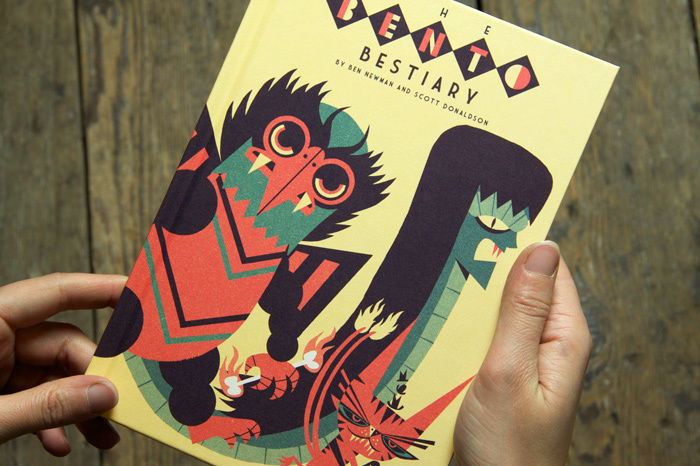 The first 100 copies of the bestiary to be bought online we be signed by the artist himself! Hurry hurry. 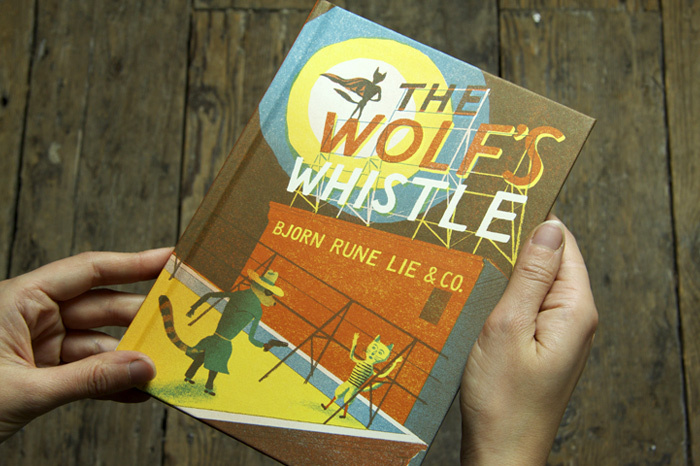 Bjorn’s book, The Wolf’s Whistle is finally here! Albert is a comic-creating, scrawny little wolf who spends his lunch breaks sharing tales of the ‘Lone Wolf’, his heroic graphic alter ego, to his group of misfit friends; dreaming of one day selling the story to the esteemed Wonder Comics. In reality, Albert and his friends did regularly make battle with an evil force, the Honeyroast brothers. The school’s alpha male sports jocks, the three bratty pigs, the sons of the local property magnate, will stop at nothing to torment their weaker classmates. The story resumes many years later when Albert is a mail room assistant at Wonder comics, living in a dingy one bed studio in Brooklyn where the Honeyroast brothers are now reigning as slumlords… Bjorn Rune Lie’s first solo book for Nobrow is a work of pure beauty and also represents the first foray into children’s books by Nobrow and one of our most cherished collaborators.